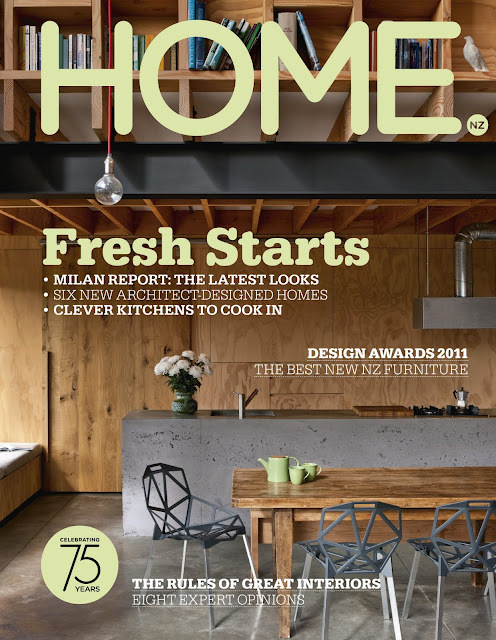 Featuring on the cover of the June|July 2011 issue of Home NZ Magazine, this new build certainly grabbed my attention at the time and I've really enjoyed digging it out to have another read so that I can share it with you. The owners Davor and Abbe Popadich purchased the small section on Auckland's North Shore in 2008 after missing out on the sale of two other properties. They didn't think they could afford to build their own home but they were left with no other option after falling in love with the site. Even though Davor is an architect, the challenge was doing it on a tight budget. As a director of the Auckland based firm Patterson Associates he has had loads of experience designing some pretty amazing houses with budgets far greater than his was. In addition to this it is often said that architects always dream of building their own homes as a way of showcasing all they can do as architect. In this case, Davor and Abbe's lack of funds meant that choices were limited and decisions became more about the essentials. Impressively, they managed to build a comfortable and really interesting space that has everything that they need. The house is small and simple with a boat shed-like design perfectly suited to the seaside suburb where it is situated. What's so surprising about this home is that the interior is actually really spacious thanks to a double-height living room which sits alongside the kitchen, dining area and a small bathroom. The mezzanine bedroom upstairs has an adjacent room for the couple's son August. At the time the article went to print, August was two and since then they have had another baby, Violeta. As a result of their growing family, plans to build stage two which includes two more bedrooms may already be underway. The amazing kitchen, dining area and mezzanine are what blew me away when I first saw the cover of Home NZ. I absolutely love the concrete kitchen island, which was poured in-situ. Davor can reach bookshelves by leaning over the mezzanine but a ladder will be installed when August is older. Davor and August in the living area. How incredible is the double-height? Swoon! Cheaper than installing, plastering and painting plasterboard, the house was lined in ply. The timber shutters close off the mezzanine bathroom when needed. Talk about chair lust! One of the couple's only splurges, these incredible chairs designed by Konstantin Grcic for Magis were well worth the investment. The sliding door in the main bedroom on the mezzanine floor is made from second-grade French oak and opens into August's bedroom. Eventually this will become a walk-in wardrobe and study. Overall, I am just so in awe of this house. I love the simplicity of the design and the unique look and feel of the plywood mixed with industrial concrete. Simple pendant light bulbs and subtle pops of colour shown in the artwork and homewares add style to the interior without overpowering. I'm always interested to see if reader comments reflect how I'm feeling, especially when a home leaves a lasting impression like this one. The comments on the Dwell website where this home also features include several specific questions relating to the build specs and house plans. I think people are just so inspired to see a house of this quality being built economically and they'd love to replicate it. 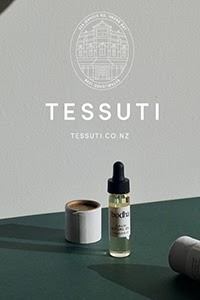 I love seeing such great design work coming out of New Zealand. I hope you are inspired as well. 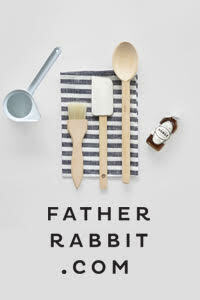 If you'd like to read more, head over to Dwell to see their article here.